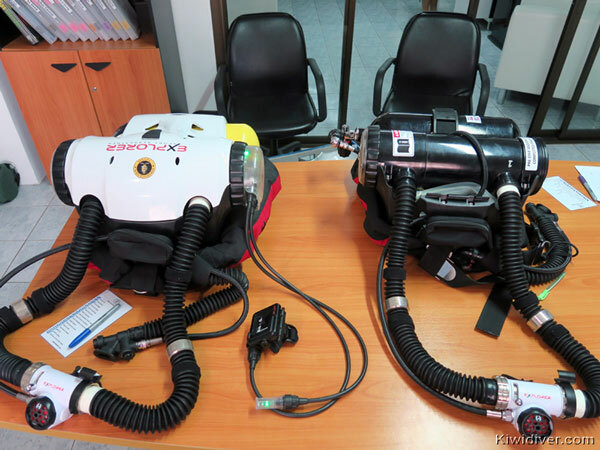 With the rapid growth in the recreational rebreather market rebreather instructors are in high demand. The PADI Rebreather Instructor course is an excellent path for those seeking to enhance their employment potential and set their career on a new and exciting track, teaching the PADI closed circuit rebreather diver courses. If you want to be a top-notch instructor then invest in the most professional training and you will not be disappointed with the result. When it comes to Instructor level training you want the best. A small investment in your training can make a big difference in the quality of your tuition. As one of the most experienced PADI Rebreather Instructors in the Asia Pacific, Kiwidiver’s Instructor Trainer Kevin Black has a wealth of experience and information to help you set up your rebreather business and will be there for you as your business expands into the technical area. Kiwidiver was the first PADI Dive Center to have the Poseidon Mk6 and the Hollis Explorer. We are the only rebreather training center in Thailand to have all three of the recreational rebrerathers on the PADI Type-R unit register. Do your training with someone who knows and has the experience to educate you on the differences, benefits and disadvantages of all the different units. Becoming a rebreather diver and even a PADI rebreather instructor with Kiwidiver is easy and does not take as long as you might imagine. The Rebreather Diver and Advanced rebreather diver courses can be combined into one course and completed in just four days (although we recommend five days). During this time you will learn about rebreather diving and in particular how it applies to the unit you choose to do the course on. There are many different types of rebreather and the course is unit specific so you will need to choose a unit first to start on. Don’t worry, as Thailand’s leading rebreather center we have all the different brands available for the PADI course and because we dive and teach them all we can give you totally unbiased advice on which unit is best for you. No other dive center in Phuket can offer this. Once you have completed your PADI Rebreather Diver & Advanced Diver course you need to get to a minimum total of 30 hours and 30 dives before starting your Instructor course. As you will have already done some of the dives / hours on you diver level courses this is really only a couple of weeks diving. However, a certain level of competency is required to meet the grade as an Instructor so some people may need longer than others to meet the standard. If you have done your diver level with Kiwidiver then we will have already told you which areas you need to work on to meet the grade as an instructor. 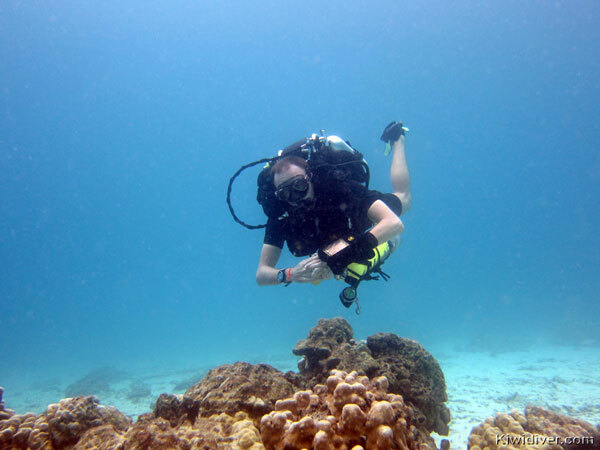 If you trained elsewhere you may want to do a check dive with Kiwidiver so we can assess your competency before committing to the Instructor course. It is a great opportunity to enjoy a few days of diving some of the fantastic local rebreather dive sites or join us on one of our rebreather liveaboards. We will buddy you up with an Instructor or Instructor trainer so you can use this time to increase your knowledge. You will also have a chance to join us as we teach other CCR courses to prepare for your CCR instructor course in Phuket. Talk to our Course Director and Rebreather Instructor Trainer now and we will design a custom fast track program for your particular needs. We make sure that you learn everything you need to and gain the necessary experience in the fastest possible time without compromising on quality training. The Instructor course takes 2-3 days, includes Classroom time, Pool time and Open Water time. Includes scrubber and gas but not unit rental. Be certified as a PADI Advanced Rebreather Diver on the specific Type R rebreather for which the candidate is qualifying. Have a minimum of 150 logged dives, of which at least 30 dives were made on the specific Type R rebreather for which the instructor is qualifying as a PADI Rebreather Instructor. There is also a course assist required before certification. 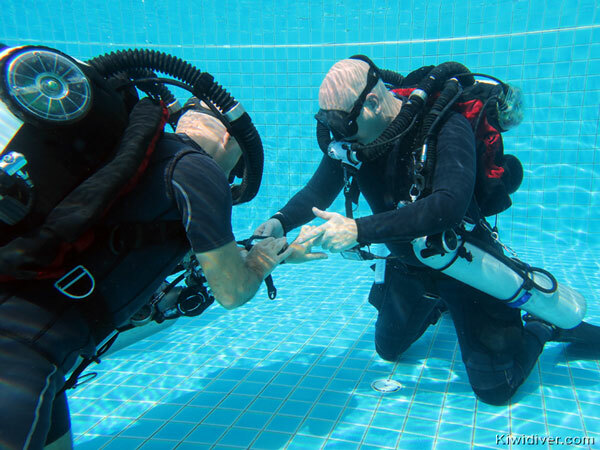 This can either be done with Kiwidiver or any other rebreather training center. To assist on a Kiwidiver course you need 4-5 days and the course costs 24,900 THB (includes scrubber and gas but not unit rental). 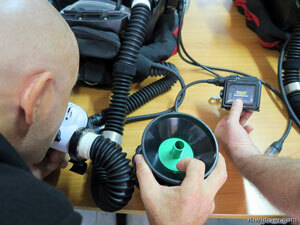 Perform a complete rebreather pre-dive check. Don an offboard bailout cylinder at the surface. Perform a proper descent check. On signal of a simulated emergency, bail out to the BOV, then return to the loop. On signal of a simulated emergency, bail out to the BOV, then switch to the offboard bailout. On signal of a simulated emergency, bail out to the BOV, then switch to an alternate. Demonstrate awareness of system status – HUD & Display. Hovering – 90 seconds without rising or sinking more than 1 metre/3 feet. Controlled ascent maintaining buddy contact. Remove and replace an offboard bailout cylinder while underwater. Bail out off board accent. 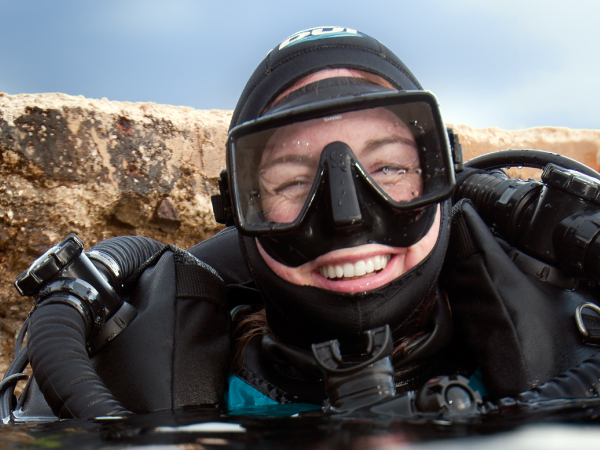 Do you have questions about the PADI Rebreather Instructor Course?